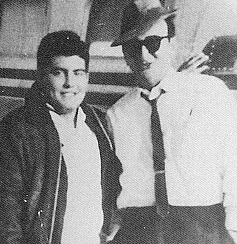 Memorably portrayed in Oliver Stone's JFK by Joe Pesci, David Ferrie (above right, with Bay of Pigs veteran Julian Buznedo) was Jim Garrison's prime suspect until his untimely death in February 1967. 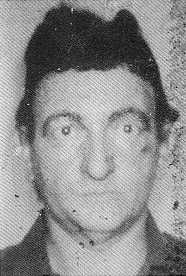 Ferrie suffered from alopecia, which caused him to lose all his hair late in life. Rather than invest in a hairpiece, he stubbornly insisted upon making his own wigs, which only added to his bizarre appearance. Homemade "eyebrows" didn't help much either. 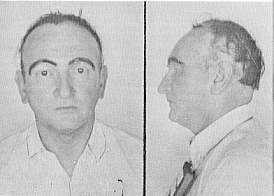 Here Ferrie is seen in two widely published mug shots. It should be noted, however, that Ferrie was never convicted of any crime. 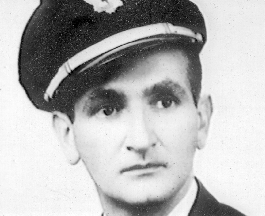 This photo from the early 1950s, when Ferrie was a pilot for Eastern Airlines, and the rare portrait below demonstrate that Ferrie wasn't always such an odd looking fellow. The photo below is more in keeping with the "Evil Ferrie" of conspiracy folklore. 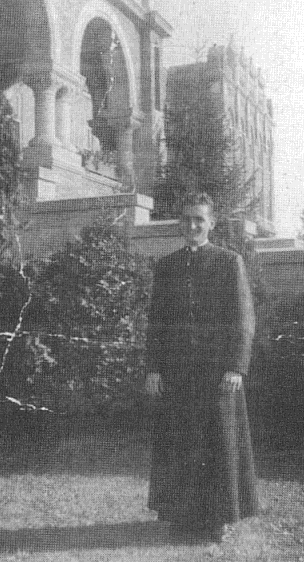 David Ferrie at St. Charles' Seminary in the early 1940s.